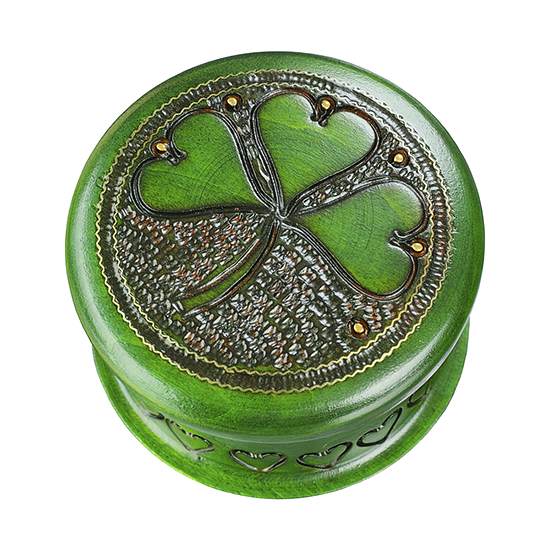 Cylindircal shamrock box detail, with lid removed. 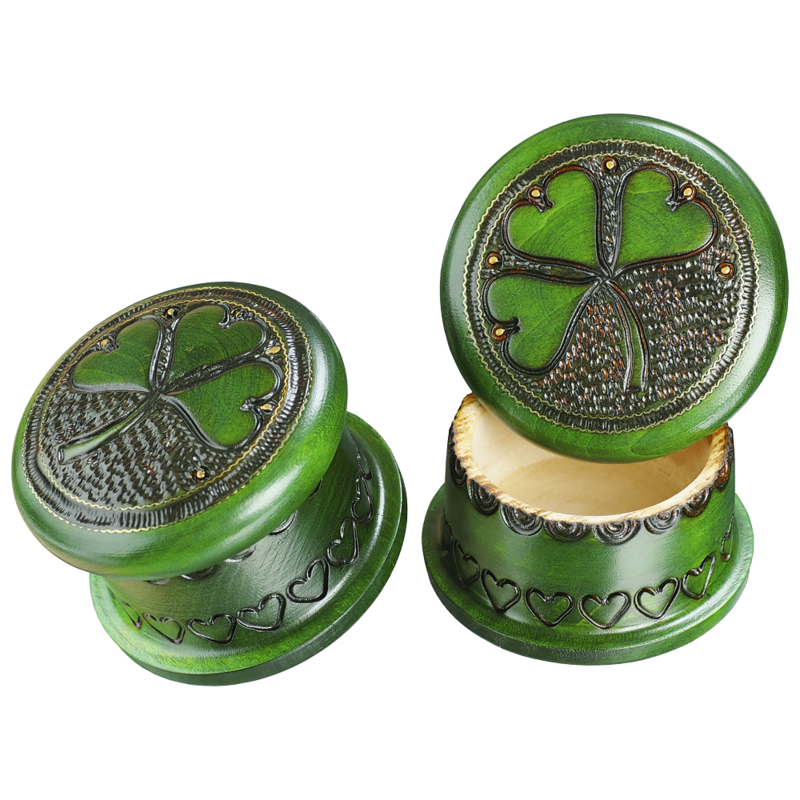 Deep, vivid cadmium green colored 3-leaf shamrock cylindrical box. Features brass inlay, an array pyrographic markings for the background, and tiny metallic gold accents. The cylinder base is decorated with hearts on the bottom, and half swirls on the upper; removable compression-fit lid.